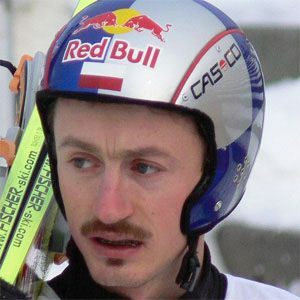 Ski jumper who won a silver and a bronze medal at the 2002 Olympics, and two silvers at the 2010 Olympics. He began his career in 1995. He won four World Championships in his career: one each in 2001 and 2007, and two in 2003. He married Izabella Polok in 1997, and had his first child with her later that year. He retired with four individual World Cup titles, tying Matti Nykanen for a world record.